California estate planning, trust and estate administration and real estate law firm. I am focused on providing you with practical, cost-effective, individualized solutions to your legal problems. I take pride in the personalized service I provide to clients. Testimony to my commitment to integrity and ethical legal representation is my firm’s AV® Preeminent™ Peer Review Rating by Martindale-Hubbell®, the highest recognition possible in the legal industry for professionalism and ethics. I provide prompt, diligent and cost-effective representation, while keeping you aware of my progress at every step of the way. I am responsive to your needs and concerns, always striving to give you clear and practical advice while creating a detailed plan to address your needs. Call Michael Rubenstein at 415-906-4045, direct line: 415-247-2501, or contact the firm online at [email protected] to schedule your consultation. 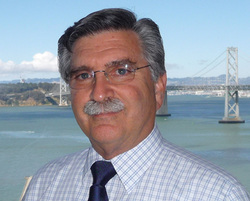 Michael Rubenstein serves clients throughout the San Francisco Bay Area, in California.